The 22nd International Symposium on Olefin Metathesis (ISOM-XII) will take place at ETH Zürich from July 9-12, 2017. This biennial event on metathesis and related reactions showcases advances ranging from new catalyzed reactions and processes, to ligand and catalyst design, and mechanistic advances that can change implementation into practice. We welcome students, academic partners and industrial scientist to join us and make this event successful. For more information please see our website. We would like to highlight the Outstanding Reviewers for Catalysis, Science and Technology in 2016, as selected by the editorial team, for their significant contribution to the journal. The reviewers have been chosen based on the number, timeliness and quality of the reports completed over the last 12 months. We would also like to thank the Catalysis, Science and Technology board and the catalysis community for their continued support of the journal, as authors, reviewers and readers. Zeolites are the most important heterogeneous catalysts with numerous large-scale applications including cracking, petrochemistry, fine chemical synthesis, and environmental protection. This themed issue evidences the significant impact of zeolites in catalysis, new trends in catalytic applications of zeolites and, in particular, their potential in catalysis. The Guest Editors of the issue are Jiri Čejka, David Serrano and Russell Morris. Catalysis, Science & Technology would like to welcome Professor Christopher Williams to the journal as a new Associate Editor for 2016. Professor Williams and the rest of the Editorial board would like to invite you to submit your best work to Catalysis, Science & Technology. The following HOT articles have been highlighted by the reviewers of the articles as being particularly interesting or significant pieces of research. These are all free to access until 30/11/15. The order they appear in the list has no meaning or ranking. 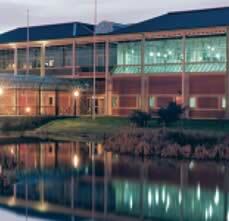 The second UK Catalysis Conference will take place at Holywell Park, Loughborough over 6th – 8th January 2016. Abstract submission is now open and the deadline is 14th September 2015. The template can be downloaded from the website and submitted here. Organo/Biocatalysis – Integration of Bio- and Chemo-/Hetero- Catalysis, Cascade Processes & Engineering Biocatalysts for Sustainable Chemical Production. RSC Surface Reactivity & Catalysis Group/Applied Catalysis Group Environmental, Fine Chemicals, Petrochemicals, Green synthesis, In-situ & Operando Methods. IChemE Catalysis Specialist Interest Group – Kinetics, Modelling, Reaction Engineering, Combined Reaction and Separation & Intensified Processes. RSC Dalton Division – All aspects of Homogeneous Catalysis will be considered, especially those concerned with New Reactions, New Reactor Concepts, Bio-derived Feed-Stocks, Asymmetric Synthesis, Tandem & Cascade Reactions. The meeting will provide an opportunity for Catalytic scientists and Engineers from across the UK’s academic and industrial communities to interact and network over the whole spectrum of Catalysis ranging from Organocatalysis, Biocatalysis, Homogenous catalysis and Heterogeneous catalysis. More information about the conference can be found here. The following HOT articles have been highlighted by the reviewers of the articles as being particularly interesting or significant pieces of research. These are all free to access until 30/09/15. The order they appear in the list has no meaning or ranking.